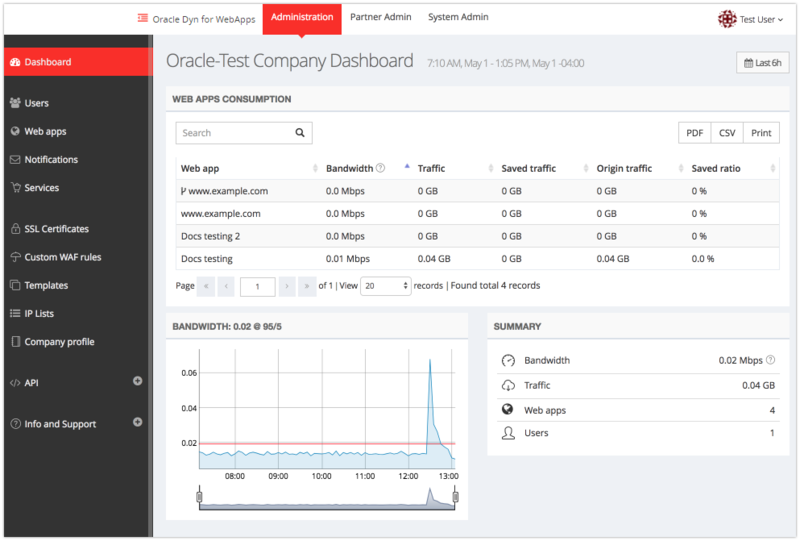 The dashboard summarizes the list of web applications that are associated with a given company and protected by Oracle Dyn Web Application Security WAF. It also includes consumption statistics. Last 6h - (Default) Displays data for the last six hours. Last 24h - Displays data for the last 24 hours. Last 2d - Displays data for the last two days. Last 7d - Displays data for the last seven days. Last 30d - Displays data for the last 30 days. Custom Range - Select a start date and an end date within the past 30 days, and then click Apply.